Today we’re going to talk about alluvial rivers and bedrock rivers. This article will be more dedicated to alluvial rivers, which are the kind of rivers we’ve discussed so far, but let’s go into bedrock real fast. A bedrock river is a river that has little to no alluvium. When we discuss alluvium, you’ll understand this more, but basically it has no floodplain (but may still have Riparian Zone). This is due to the fact that bedrock is basically rock, that has been eroded by water. The most common type of bedrock rivers is Canyons. In simple terms: Canyons are rock formation with water carving out a path through erosion. Grand Canyon being a prime example. Takes a long time. There are other types of bedrock, but to explain them will take a great deal of time. Alluvial rivers are self-formed. Their shape is determined by the magnitude and frequency of the floods a river may experience. Floods are responsible for eroding, depositing, and transporting sediment. Essentially floods eat away at lands beyond a river and distribute sediment to create the various formations we’ve named. The shapes that can be formed by Alluvial rivers is meandering, braided, and occasionally straight. For the most part, a river starts off straight. When we see a straight river, we can generally assume it’s a young river. As a river transports sediment, it begins to eat away at the land surrounding it. Add in a few flood for good measure, and a part of a river will start taking away some land and add to the land at the same time. This creates Meandering River. Meander is a river with a series of bend. The effect occurs over a great amount of time (geological timescale). Measuring how eroded a river is from a straight line can help determine the age of a river. Eventually though, a meandering river becomes straight again. 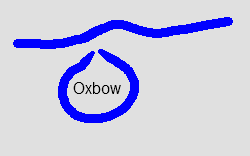 How we know this occurs is due to the creation of what is known as a oxbow lake. The importance of meandering is many fold, as we will discuss. For starters, meandering makes a river longer. 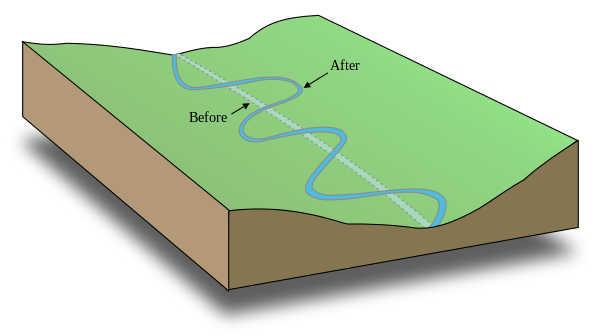 This can have an effect on the flow of water, as traveling a greater distance, means that it travels slower overall than what it had when it was straight. I will take you step-by-step on the formation of meandering. Below we have a fairly straight young river. You will notice there is a slight bend. As sediment flows through, it will start to distort the land. The black mark is indication of the land being eaten away while the red mark indicated the land that is receiving sediment. With the next image, below, you will notice a small curve forming. Not too noticeable, but the river continues to eat away. Now we see a significant bending. Where once it was straight, now it bends. Where the river once was, is now sediment that is called a point bar. After some time has passed, we can now see it starting to form a loop. You will also notice that more parts of the surrounding land are being affected. More parts are being eaten away and other parts are being added to. Now the river has taken on a new shape, one of a loop. Rather than follow the shortest path, it has taken a much longer path. Seems quite inefficient, but does have some benefit of reducing flooding. The land in middle is basically floodplain, and rich in soil. Still the land is changing. At this point, the river is a hair away from reconnecting the way it once has. Finally, the river has chewed up enough of the land that it reconnected. However, it no longer looks as straight as it once did, and may for another loop, given enough time. However, there is water remaining of the former loop. This is what we call an Oxbow lake. When the river connects again, the water takes the path of least resistance. Since traveling the look equates to more resistance, it begins to build up of sediment. 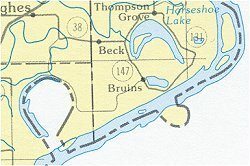 Prior to breaking off as a lake, this is an example of River Bifurcation. The looped portion of the river now becomes an island, until the sediment builds up and cuts off the loop, becoming a lake. When we look at the water flow of the lake, remember that the inside of the loop/bend of a river is faster, than the outside of the loop. Think of a record spinning (or a CD for the newer generation). Closer to the middle of the record appears to be moving faster than the outside portion of the record. 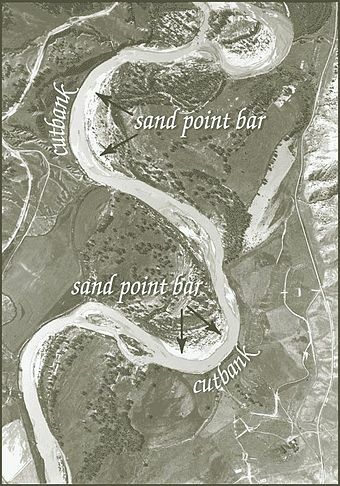 The basic mechanics of erosion seen here is that that deposition of sediment (adding) occurs on the inner track because the secondary flow of the river (outside edge) sweeps and rolls sand, rocks, and other submerged objects across the bed of the river towards the inside of the loop, and this is called a point bar. Soil on the outside edge breaks apart because the soil is weaker due to the different currents. In turn, this creates a small cliff known as the cut bank. Now sometimes, a river has too much of a sediment flow. What would be one river, ends up being a series of streams due to build up of sediment. It’s basically like a pipe getting clogged up. 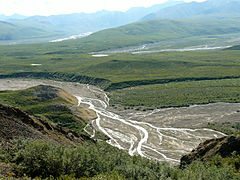 This is known as a Braided River. In Braided Rivers, smaller rivers create islands made of sediment known as braid bars, or for our British, aits or eyots. As we know, all rivers carry sediment. 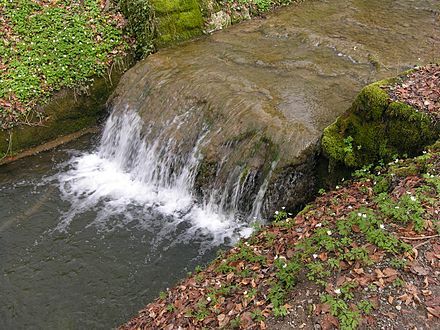 Rivers obtain sediment from eating at the land, plants and animals dying, or even leaves falling off and landing in rivers. However, some rivers reach a critical point in how much sediment it can carry. When reaching a critical point, basically the river dumps off the sediment, turning a big river into a smaller one. Even drastically decreasing its own depth. This may end up giving the river a meandering profile. 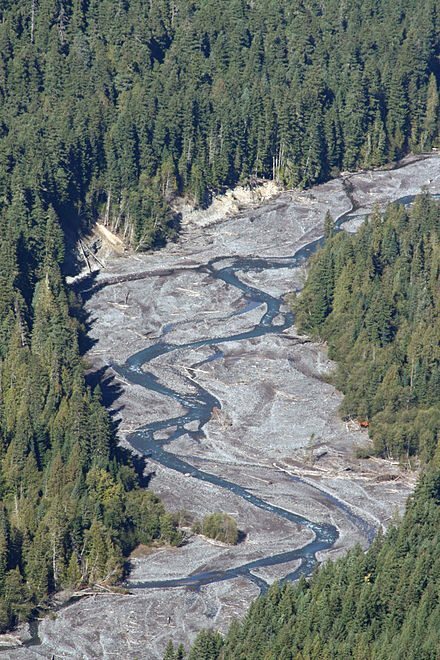 However, there are more extreme examples of too much sediment load in a river that creates a series of smaller islands. 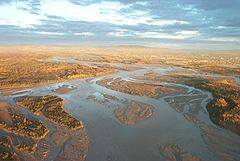 Below you see examples of the Radaia River, Tanana River, and Toklat River. Due to the nature of braid bars, any time a flood occurs, the shape and placement of braid bars may be altered. The other key factor to braiding, which differs from meandering, is erosion. How resistant is the banks to erosion? If they are highly resistant, sediment clogging may occur. 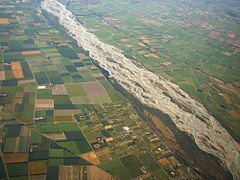 Perhaps the best example of braiding is river deltas. River Delta may be a future article, but not the near future. Delta’s do form in a very similar fashion. Most sediment islands are going to be the size corresponding to the original size of the river and the amount of sediment flow. Larger rivers may have larger islands. Note that while an island may form, it may cut off open part of the stream and go with the other, which then makes it no longer an island. I don’t know if discussion of water will ever be complete. There are a lot of formation that have their own rules. A lot of things to think about. However, in general map making, many elements to think about won’t necessarily transcribe into your overall design. A final note on rivers of all kinds, but generally meandering and straight. When two nations/kingdoms border each other and use a river to do so, the true border line is the lowest part of the river itself. Usually the middle, though with meandering, it can be the very outside edge. This is known as a thalweg. With parts a & b, you already have rivers and floodplains. You will need to turn all of those off. If you choose to use your basic river layer you already have for this, go to step 2. We are going to redo all of the rivers, using the technique found in 10a. Start with dark patches on the mountains where it touches the land and draw to the nearest dot, and trace it all the way down to the nearest body of water. Then have every lake lead to a body of water, whether to another lake, a river, or the ocean. 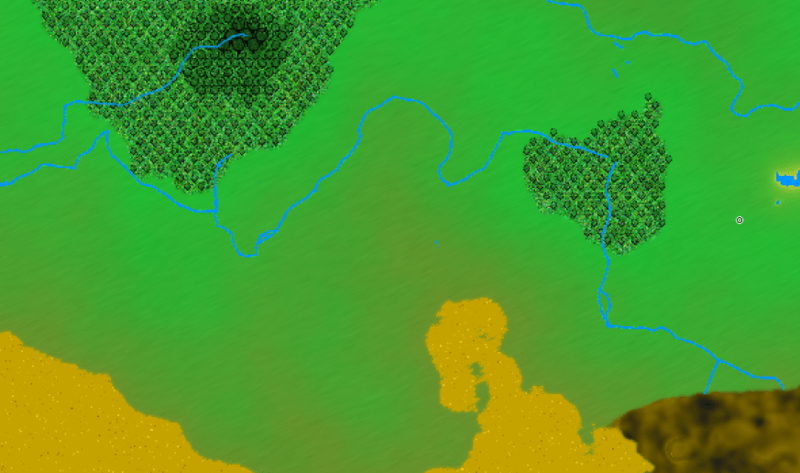 Lastly, have a few rivers going through the forest. The idea here is to over do it. Don’t worry, you’ll be deleting a lot of this later. The more you do, the best result you will get. For a smaller map, you can get away with 10 or so rivers. Only used Width set at 1, don’t worry at this time about combining the size. a. Uncheck your first layer, do not alter it. c. Duplicate it 3 times. Now your rivers are in a crazy mess. They are everywhere. From here, just click on the eraser. 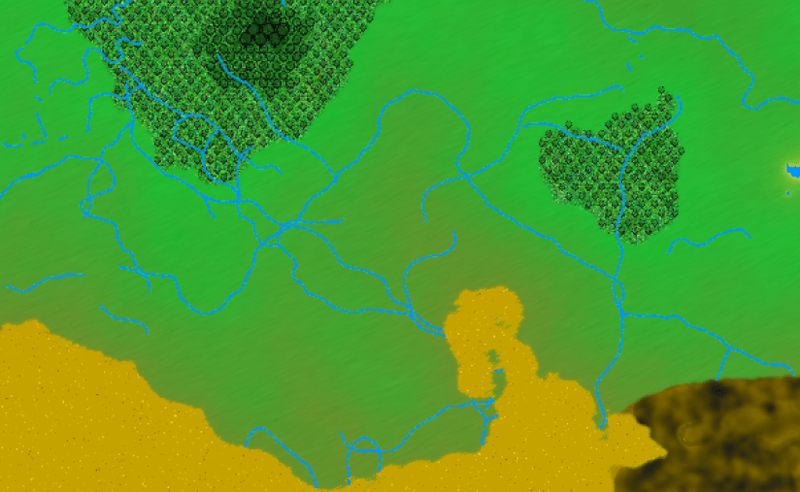 Start with Width 30 and remove everywhere rivers don’t belong. Middles of deserts, oceans, and mountains. Don’t worry about getting it exact, when we do our final tutorial, I will show you how to clean up all the stray marks. Now the fun, but tedious part. Places where you drew your river before, now go off in crazy directions. Follow the path of your rivers and when they fork, delete one of the ways they go. Make your river go into a different direction. If there are a few broken up parts, connect them together. Remember, it is easier to destroy than create, though in your destruction, you are creating anew. Try to favor curves than straight lines. Avoid river and lake bifurcation as much as possible, and having sediment islands. A few is OK. 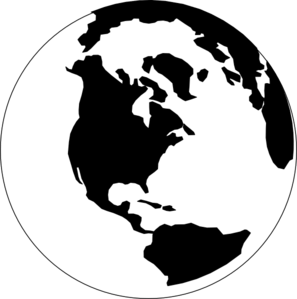 Most importantly, do not have oceans connected to each other with a river. Once you start taking away some rivers, you will then begin to see your rivers take on a new life. Don’t be afraid to touch up, and experiment. Once you are done, follow 10a and 10b to make your Brooks, Streams, and Rivers and their floodplains.